The Department of Mechanical Engineering at AVCE focuses on molding students to become employable engineers through multiple skill development activities, Industry seminars, Socio-economically relevant projects etc. apart from their regular curriculum. 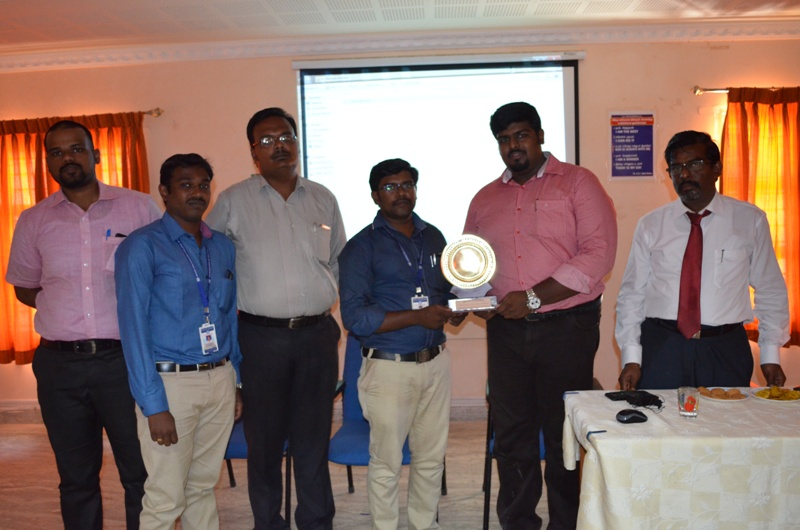 To provide a good exposure to students, a seminar was conducted on the topic of Non Destructive testing and Safety engineering. The seminar was divided into two sessions. 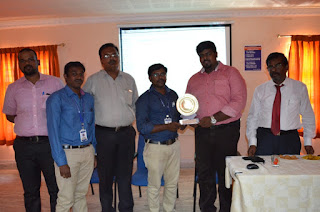 Session I was handled by Mr. Ravikumar Sekaharan Nair Senior expert on Eddy current testing and NDT Level III certified Instructor with about 30+ years of experience. 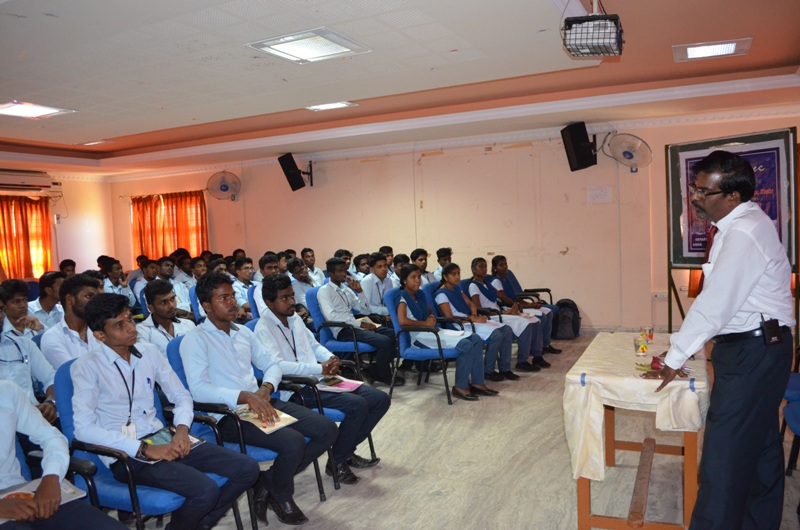 He provided insights to students about Non Destructive Testing (NDT), the various methods of NDT its process functions and usage. Job opportunities in the field of NDT along with the relevant certifications needed were also discussed for the benefit of the students. Session II handled by Mr. Deepu Ravikumar Safety Engineer, Trainer/HSE of Vibrant Consultancy WLL of Doha Qatar brought the students into a live atmosphere of Safety features employed in organizations for the safety and security of working personal, he also presented about the courses such as OSHA, NEBOSH, LEEYA etc. that will benefit the students to obtain jobs in Safety field. He presented live demo on first aids employed in case of emergency in safety field. He lectured on importance of safety and why this safety should be given prime importance. The session was very lively for all students. The knowledge shared in both the sessions provided a good exposure to the field of Non-Destructive testing and safety along with the job opportunities associated with it. The program was conducted successfully with the support from Management,Vice Principal and Principal. 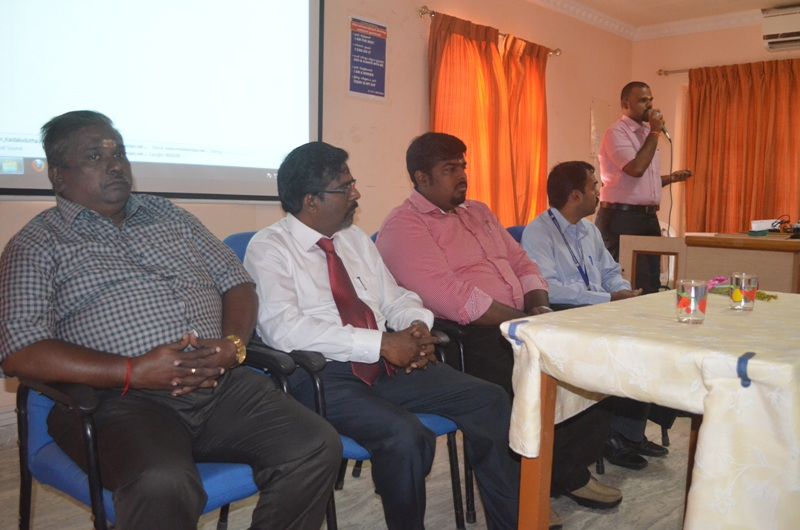 Mr. N. Manikandan Head, Mechanical and the coordinators Mr. Prawyn Jeba (AP/Mech) and Mr. Eswaramoorthy (AP/Mech) coordinators have lended their effort to organize the program successfully.